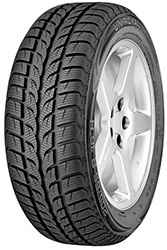 Uniroyal MS Plus 66 tyres are winter options that produce the best results in colder temperatures. These options have an excellent lifespan for you to enjoy and this is maximised at this time of year, which is why many drivers combine them with a set of summer tyres for warmer weather. This gives you the best performance, longevity and value on all tyres throughout the year and is a sensible choice for any situation. MS Plus 66 tyres should not be missed.